What is it about the Lenswood Valley in the Adelaide Hills that makes Australia’s premium apples? There is no one thing – it is the happy convergence of everything the trees and fruit need. Clean rainwater and plenty of it. The aquifer retains local water, so if the trees need a top-up during a summer heatwave, we can reuse clean water from beneath the soil. Trees love the clay/loam soil for its mineral content and drainage. The sunny but mild summer and autumn conditions gently ripen the fruit without burning. Did you know that with an altitude above 500m, summer temperatures at Filsell Hill can be 10° lower than in Adelaide? 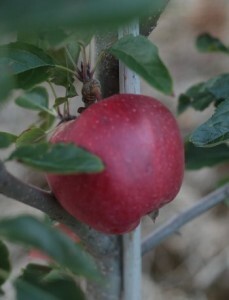 A forward-looking approach to planting has enabled us to offer a “full service” orchard model. We grow all of the varieties we sell. The apples are grown less than 40km from the Adelaide CBD. The Adelaide Hills presents a low threat of pests and diseases to fruit. We take advantage to utilize a holistic approach to pest control. We operate to strict standards under a first-world regulatory and compliance regime. Filsell’s Apples is a family company growing premium apples for 100+ years, with a hands-on approach, and a hard-earned reputation for finest quality. We specialize in supplying small-medium and specialist local retailers. One size does not fit all. We work with small-medium retailers to offer a variety of sizes. We do not put stickers on most of our apples. By purchasing Filsell’s apples, you can make a contribution to conserving the Adelaide Hills natural and social environments. 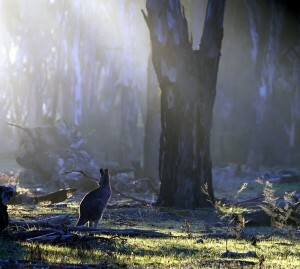 Environment: The Filsells protect hectares of native bushland on their properties. Community: Locals are employed year-round in the storage, packing, pruning, fruit-management and logistics operations. An average 20 FTE (Full time equivalent) employment is a significant contribution to the local economy. Every March the workforce swells until May to bring in the harvest. We are proud to assist the the Salvo’s work by regularly donating produce.